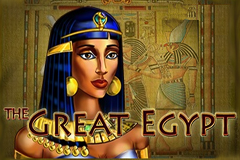 Any online casino pokie with the word ‘Egypt’ in the title is sure to attract players like a plague of frogs, but The Great Egypt, by EGT is definitely one of the older design games, where symbols are flatter than a wall of hieroglyphics. It’s rescued from eternal burial by a couple of interesting bonus features, such as free spins with multipliers and a high-paying wild symbol that doubles the value of any line it completes. On top of this, we have the usual EGT casino pokie machines features of a gamble round and a 4-level progressive jackpot that’s randomly awarded, so anyone who likes the theme should still take a look at this 5-reel, 10-payline game. A backdrop of carved columns sits behind the reels and above them players will see the steadily rising Club, Heart, Diamond and Spade progressive values. Under the reels is the standard EGT control panel, and there’s the option to stake as little as 10 coins on a spin or a high limit of 200. Players get a win by seeing matching symbols running in an unbroken sequence across a payline from the left side, with wilds and scatters able to help along the way, and if they just want to test things out first, then most online casinos offer free The Great Egypt video pokie games for just that reason. 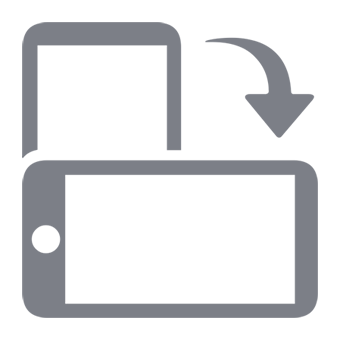 Like many pokies, particularly ones that come in a simple design like this, the high-card symbols will tend to fill much of the reels, paying out small, but reliable wins. At a stake of 1 coin per line, the 9 will only need to land on reels 1 and 2 from the left side to be worth a prize of 2 coins, rising to 100 coins when it fills a whole payline. The 10, J and Q will be worth the same for any 3 or more, while the K and A pay out between 10 and 125 coins depending on how many reels they fill. The classic image of a cat statue is worth 20, 100 or 400 coins and next up in value, there’s a sheet of papyrus and the winged god image, each of which pays out 15, 75 or 250 coins. The top wins come when either the Pharaoh or Queen land across a payline, with prizes of 2, 25, 125, or 750 awarded when 2, 3, 4 or 5 of a kind appear. A second image of the Pharaoh, this time in full royal garb, will pay between 10 and 10,000 coins depending on how much of a line he fills, while also doing his royal duties as a wild symbol, able to act as all but the scatter if he can then complete a winning combination. He likes to treat his subjects, or us players, by doubling the basic value of any winline that he completes, so any of the above values can be multiplied if the wild is part of the line. The pyramids are a scatter symbol, able to create a win wherever they land on the reels. A prize of between 20 and 5000 coins is paid for 2 to 5 scatters, while any 3 or more will also take players to a free spins bonus round. 15 spins will play out and any wins during them will be tripled in value, while seeing 3 or more scatters again will retrigger the bonus games. If players like to take a gamble, they can opt to enter a side game after any win of less than 350 coins, doubling the triggering prize by correctly guessing if a playing card will be a red or black suit. While they can go again if they get it right, any wrong choice ends the round, losing the initial win along with any gains made in the gamble so far. Those progressive jackpots are connected to the randomly-awarded Jackpot Cards round which takes players to a second screen where they see 12 playing cards lying face down. The suits are revealed when a card is clicked, and once 3 of the same have been found, the related progressive prize is won. While the Egyptian theme may be the most popular with players, The Great Egypt video pokie isn’t necessarily that great. It has some decent bonuses, along with the good return to player percentage and fair play that comes with all EGT games, but the overall design is very old-fashioned and while some players won’t mind this, there are many who will steer clear of it, simply because it doesn’t look too impressive. But anyone who takes a second look could find themselves winning some good payouts, so perhaps they should give it a chance.